When we come into this world, we are greeted by the friendly faces that have been long awaiting our arrival. Sometimes we are christened, in a manner of speaking, by fixed smiles, oohs and aahs, and the caress of mother’s arms. When Great Frogs Winery co-owner Nate O’Shea came into this world, he was christened with the fruits of a vine-ripened libation when a drop of wine was gently placed upon his tongue in celebration of his birth. Growing up, he would peer out of his bedroom window and admire acres of trellised vines. It’s no surprise, then, that when he and his wife, Andrea, decided to move east from California, they did so to become involved in Maryland’s wine industry. They ultimately co-founded Great Frogs with Don and Barbara Segal, the majority owners. Inspired by a number of friends who worked in wineries and vineyards, Nate explored his future with abandon. While living in Southern California, he worked in the wine industry as a writer and wine buyer, while Andrea worked at Cedars-Sinai Medical Center in the dental field. Over time, the couple began discussing moving closer to family on the East Coast. When Nate discovered that a vineyard in Maryland was in need of help, he and Andrea jumped at the opportunity. When they uprooted, the O’Sheas were not familiar with Maryland’s burgeoning wine industry. But Nate never shied away from a challenge, making a career out of unconventional job positions, and Andrea felt right at home on farmland. “Being originally from the Midwest, the idea of getting involved with a vineyard was not a big stretch from helping out on different farms back home,” says Andrea. “It felt like the natural thing to do.” They dove into the local wine scene, working with various Maryland vineyards. 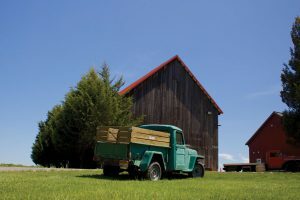 Great Frogs came to fruition with its first planting in 1999, and became a licensed winery in 2010. 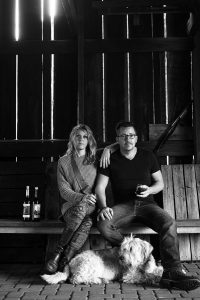 The adventure began with French varietals such as Chardonnay, Cabernet Sauvignon, Cabernet Franc, and Syrah, providing many learning opportunities, which the couple have enjoyed. “Much of what we see in winemaking start as accidents. You have to be experimental and not worry,” says Andrea. As part of the experimental process, the O’Sheas often set products aside for trials. “We started out old-school, using old equipment, pressing the same day as we pick,” says Andrea. Because their presses couldn’t extract all of the juice from the white grape skins, they decided to ferment them. Their first attempt resulted in a libation tasting like beer. Having no idea if this was a marketable product, they poured it into a barrel and let it age. When they opened the barrel the following spring, they discovered a most delightful and complex aroma. What came to life was their signature Full Sail dessert wine, which is said to go well with a cheese and sausage spread. While planting grapes in the unique Maryland soil produces sumptuous, healthy grapes, it still takes great effort for the O’Sheas to create their tasty libations. Grapes in other areas often struggle, working their roots deep into the soil and bedrock and vying for a small token of water, often fifty or more feet beneath the surface. 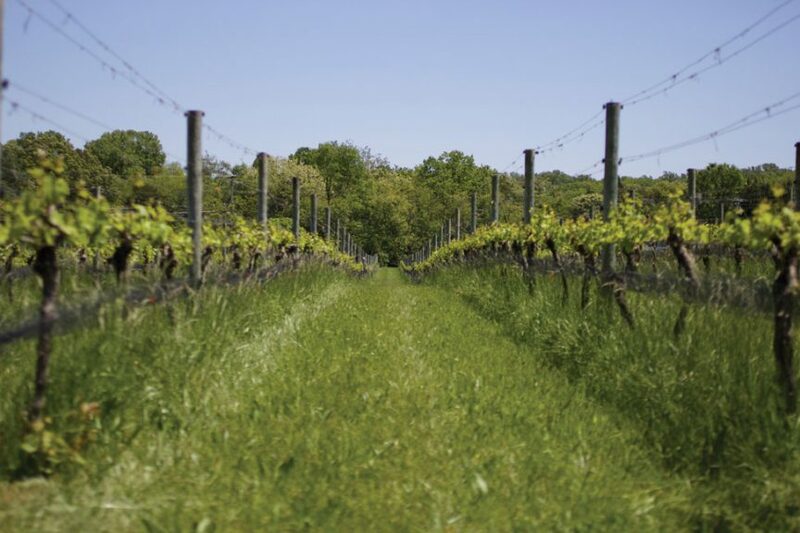 But vines near the Chesapeake Bay have roots that grow near the water table; because wine grapes taste better when they have to fight for vigor—making fuller, richer fruits—the O’Sheas employ methods that help the vines put more effort into reproducing and yielding grapes. Temperature fluctuations can also pose a challenge. Whereas vineyards in the Napa Valley, California enjoy a fairly predictable Mediterranean climate, Maryland vineyards may break bud just before a frost. Fortunately, Great Frogs vineyards are near the Bay, which regulates the temperature while the vines receive a nice breeze that also helps reduce humidity and vulnerability to vine diseases. The O’Sheas have found their niche in Great Frogs. Nate performs more of the laborious tasks, such as grape growing, transporting, pressing, racking, and determining blending volumes, and Andrea tests grapes, calculates additives, and manages the bookkeeping. They work easily and synergistically together, late into the nights, on marketing and brand development. At the end of a typical day, Nate and Andrea often pour some wine and relax with their three dogs, Finn McCool, Bruno, and Scout. Each morning, Bruno and Scout ransack the bedroom like whirling dervishes, beckoning Andrea to rise, and the adventure continues. During the summer months, Great Frogs hosts events with yard games and outdoor activities, such as their Bocce Ball and Backyard BBQ with Paul’s Homewood Café. Error: Error validating access token: Session has expired on Saturday, 09-Mar-19 15:57:50 PST. The current time is Tuesday, 23-Apr-19 08:57:39 PDT.